As a creator of contemporary Balkan music, he long ago became part of global culture. Thirty years ago, in 1974, long before Balkan music was discovered on the major music scene, Papasov started his revolution with his Trakija Band. At the time he could hardly have known that he was creating a new movement, later known as wedding band music, a mix of Bulgarian and Balkan folk with contemporary elements. His work changed the face of Bulgarian and world music and developed it in new directions. No wonder his fans around the world call him the King of Wedding Band Music. In deference to his amazing talent, Bulgarians call him the Aga (the Master). And Papasov really is part of the best moments of their lives. His music resounds not only at major concert venues, but also at the important days of their lives, their weddings and family celebrations. Ivo Papasov is now 52 with a brilliant musical career behind his back. He appears on innumerable productions and albums. Two of his albums were produced by Joe Boyd (who produced Pink Floyd, REM and others). Global media of the calibre of The Guardian, The Washington Post and The New York Times write about him in superlative terms. Flattery for Ivo Papasov has come from world-famous musicians like David Sanborn and Frank Zappa and famous and respected experts and connoisseurs like Simon Broughton and Timothy Rice. 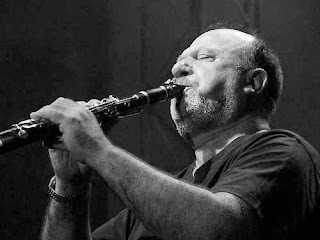 Ivo Papasov works with world-renowned musicians like Milcho Leviev, Peter Ralchev, Teodosii Spasov, Antoni Donchev, Johnny Griffin, Hector Zazou, Okay Temiz, Glen Velez, Kepa Junkera, Arild Andersen, Kalman Balogh, Iva Bitova, Sergei Starostin, etc. He plays at festivals in Paris, Gypsy Festival Tilburg, Dunya Rotterdam, Eropalia, Krakow, Budapest World Music Festival, Moers Festival, TFF Rudolstadt, Schloss Elmau, Horizonte Koblenz, Facherwelt Karlsruhe, Salzburg, Balkanfever Vienna, Waidhofen Thaya, Huesca Festival, Cormons Jazz & Wine, Jazz Progetto Cremona, Time in Jazz Sardinia, Umea Folk Festival, Moskow Etna etc. Clubs and Halls like Palais des Beaux-Arts in Brussels, the Soedra Teatern in Stockholm, the Brooklyn Academy of Music in New York, Ronnie Scott’s in London, Szene Vienna, Treibhaus Innsbruck, Moods Zurich, Bimhuis Amsterdam, etc. noisepress - what a fine 1st post! are the bulgarian commenter on border music who promised to provide some of papsov's music??? i'll add the link to your post in mine! it's realy beautiful. I didn't know him ,but i like this music. I see on : http://babeblogue.blogspot.com/ more from him. Is he such a great Bulgarian ? Well thanks for this post, and i wish you good luck with your blog. Tomorrow and the day after i want to listen more. Do i really have to delete your post ? Here in my village is no Ivo Papasov. Well , wish you good luck. when i was small a friend's brother got me high and played "mominsko horo" from a compilation called best of both worlds ... all crazy musics (and weed) is my passion ever since! Я из Бразилии.Вы уже посетили мой бывший блог (blog da milu), который я закрыла(сейчас, только для гостях. Если вам интересуете, пожалуйста, пиши мне и я Вам посылаю приглашение). А сейчас у меня новый блог и жду ваш визит.